Our team of designers and architects was hired to design their new location in the Nickel Plate Redevelopment District with the intent that the new expansion would be complete with sustainable and locally manufactured materials. Daylighting, indoor/outdoor spaces, collaboration areas, and sustainability became the focus for their new facility. This is reflected through the open office area, which also includes a mix of open and closed conferences spaces. Left photo provided by Tony Frederick Photography. Right photo provided by Ed Arvin Photography. 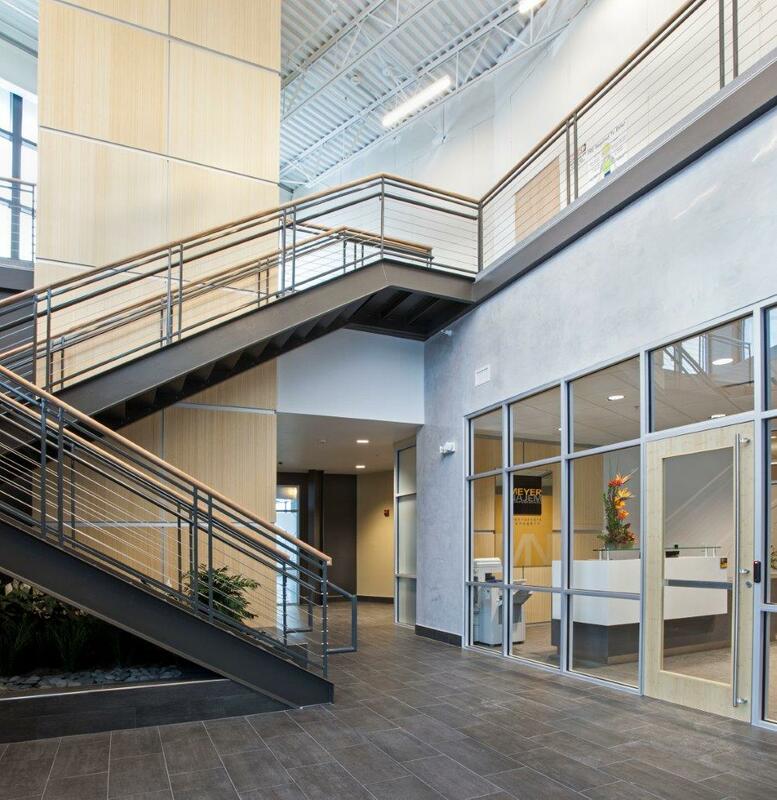 From the outside, many of the building details were left exposed, highlighting cable-suspended shading devices, steel channel stairs, and exposed steel columns. “It’s essential that a company’s headquarters reflect that company’s ideas, values, and culture,” said Brandon Farley, American Structurepoint architect. 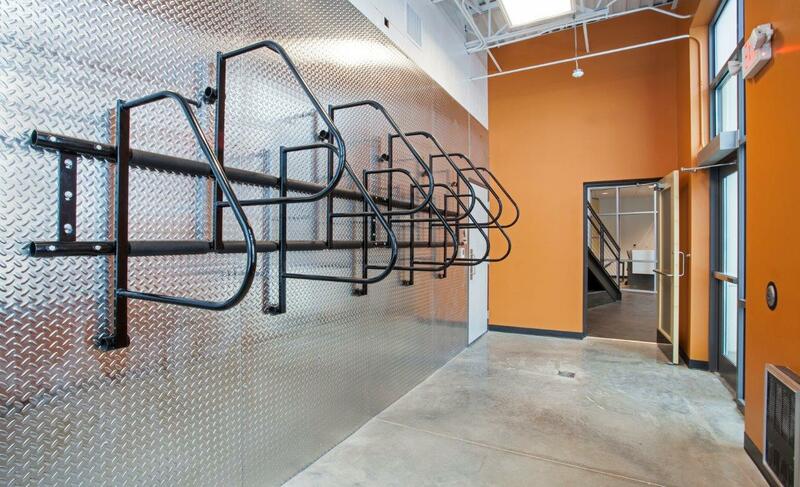 Employees benefit from the corporation’s commitment to overall health, as an indoor bike storage facility was added to promote alternative transportation. Indoor showers are available to promote physical activity during the lunch hour. 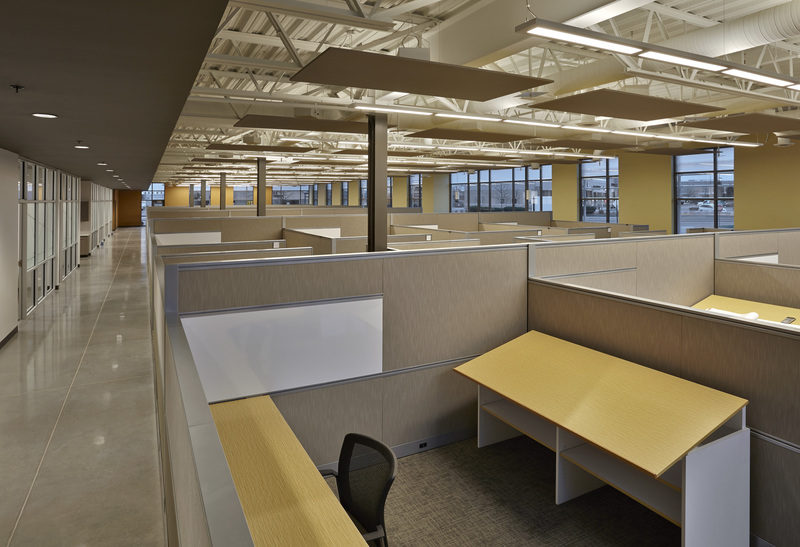 “Meyer Najem takes pride in differentiating themselves from others in the market, so they understood the need to approach their new headquarters in a unique manner with a design firm that has similar values and vision,” said Rob Bray, project manager at American Structurepoint. 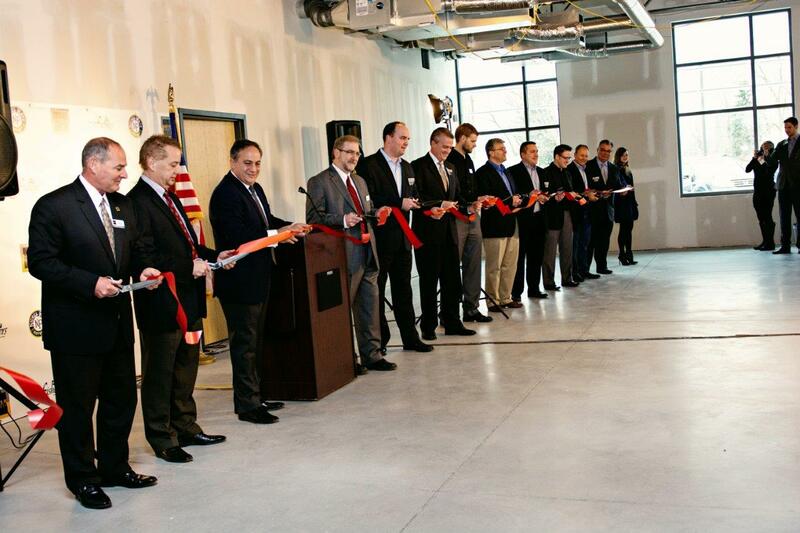 Meyer Najem takes up 22,000 square feet on the first floor of the new building with 17,500 square feet of space on the second floor being leased by the City of Fishers. Bray says his team is currently working on the second floor tenant spaces. They’re also working on plans to expand into the space where the dedication ceremony was held. 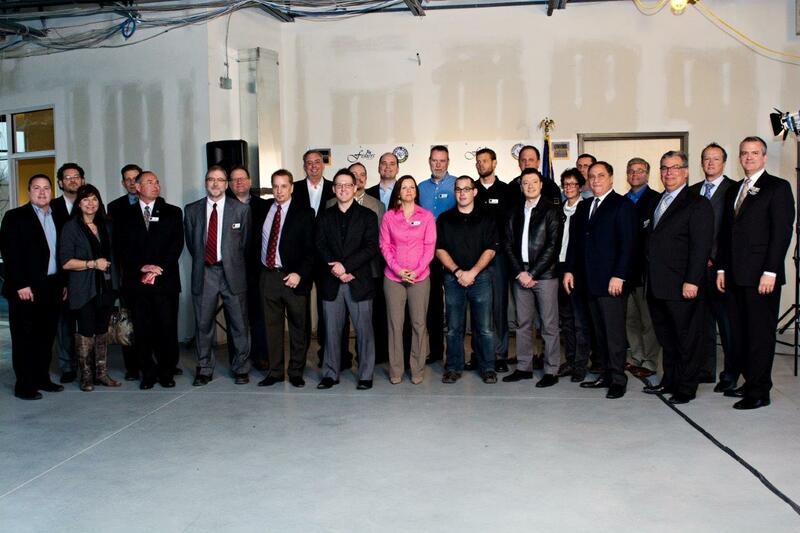 This space was meant to be phase two, but Meyer Najem continues to grow at a rapid pace. Congratulations to everyone involved in this project and welcome home, Meyer Najem!